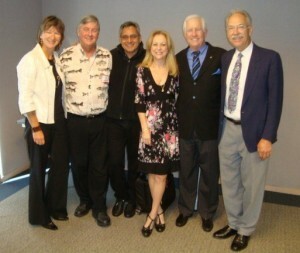 Dan (second from right) and me at a CAPS Vancouver meeting in September 2009. The world of self-publishing was touched and deeply saddened by news earlier this week of the passing legendary self-publishing pioneer Dan Poynter. Dan passed away on Monday, November 2, 2015, at the age of seventy-seven. Certainly he never seemed nearly his age to anyone who had the good fortune to meet him. Although I posted on Facebook about this great loss to the worldwide self-publishing community, I thought I owed Dan’s passing a more detailed mention on my blog. Dan was my friend, my mentor, my client, and above all, my inspiration, especially throughout the early years of my editing career. Prior to his death, Dan had been suffering from a recurring bout of myeloid leukemia. Earlier this year, he’d fallen from a ladder but survived that, only to have the cancer recur. He was in hospice for a few days before returning to his beloved home in Santa Barbara and passing away there from the cancer and renal failure. He had wanted to be at home when he died, and he had his brother Andy at his side up till the end. His faithful business manager, Becky Carbone, answered my e-mail query promptly. All Dan’s plans will be carried out as he wished. His other brother will be writing an obituary. Dan was an incredibly kind, humble, generous, gentle genius of a man. He left a truly remarkable legacy. He was sometimes called the godfather of self-publishing; over three and a half decades, thousands of authors have self-published their books based on his generous advice. A certified public speaker, Dan was a long-time member of the National Speakers Association. He was also an avid aviator, a member of the Parachute Hall of Fame, an expert witness, and a cat lover. To those who know Dan as the author of the original book on self-publishing, The Self-Publishing Manual, it may come as a surprise to learn that Dan’s first self-published book was about parachuting. Prior to his career in self-publishing, Dan worked as a parachute designer and was a huge fan of skydiving. He wrote and self-published The Parachute Manual: A Technical Treatise on the Parachute way back in 1977, and he learned so much from the experience of self-publishing that he decided to write a book about it, and the first edition of The Self-Publishing Manual: How to Write, Print and Publish Your Own Book appeared in 1979. Dan formed his company and imprint Para Publishing as means to promote his books and his vision for helping other authors and teaching them that publishing themselves was not really such a far-fetched idea. Always the visionary, Dan grew Para Publishing to enormous proportions—clearly he’d had the foresight to anticipate a need, an enormous gap that needed filling between authors passionate about publishing their manuscripts and their uncertain road to publication. At the time, all that was available to authors was the infinitesimal possibility of finding an agent and then a traditional publisher, or choosing the widely maligned process of vanity publishing. Dan set about to legitimatize self-publishers, to encourage authors away from vanity presses, and to be brave and publish themselves. I’m not sure whether he invented the term self-publishing, but it’s certainly not unlikely. Now I wish I’d asked him that question. Under his Para Publishing umbrella, Dan went on to publish over one hundred books in many languages. That figure includes his many endeavours in publishing—tapes, reports, CDs, DVDs, seminars, speeches, and consulting on other subjects. In addition to his books on self-publishing, Dan wrote books that contained his expertise on parachuting, skydiving, hang-gliding, Frisbee play, early word processors, how to be an expert witness, how to handle air travel, and perhaps surprisingly, a manual on how to care for aging cats. In recent years, Dan was the mastermind behind the popular Global Ebook Awards. When I met Dan back in October 2004 in Valley Forge, Pennsylvania, I was still what I considered to be a novice editor. I’d created a website that was attracting a little bit of work, but at the time I had no idea that the industry of self-publishing was about to explode, largely due to Dan’s efforts of the previous twenty-five years. Moreover, little did I know then what his pioneering work held in store for me. Thanks in part to Dan, my career working with self-publishing authors would blossom in subsequent years, but at the time, my story unfolded in what now seems an almost mythical way. My acquaintance with Dan was preceded by two years of effort when I first decided that a career in book editing was my calling. It was 2002, and I spent the next year working on acquiring work and on developing a website, which began to gain popularity in 2004. At the same time, I worked on several books from a Vancouver publishing services company. Meanwhile—and I recall this vividly in my mind’s eye—I sat myself in the stacks at the Vancouver Public Library and tried to absorb all I could from Dan Poynter’s books on publishing and self-publishing. And I spent many hours writing to publishing services companies I found online, in hopes they would add me to their list of editors. Then, in late summer of 2004, it seemed my efforts were beginning to pay off. Infinity Publishing in Pennsylvania was one of a number who responded to my query about adding me to their website. Infinity went a step further, deciding they liked my new website enough to offer me the amazing opportunity to attend their annual writers’ conference at Valley Forge as a speaker and educator. At the time, I was just about broke. I was working two jobs and 70 hours a week just to keep myself and my fledgling editing business afloat, and I could hardly dream of flying to Pennsylvania to participate in a writers’ conference. But the conference then offered to pay the majority of my expenses, and at the same time, I could see that despite my destitute state, this was probably a once-in-a-lifetime opportunity. I somehow dug up some gumption and the remainder of the funds, and I grabbed at the chance. It was scary. I hadn’t travelled in years, let alone, alone—me, an introvert—to a conference on the other side of the continent where I knew I’d be a tiny fish among a big pond of seasoned professionals. Still, I already knew from a previous career in teaching classical music that I enjoyed public speaking. And it was just one of those times in life when you swallow your fears and leap at a chance that might never happen again. I took it. I bit. And it is impossible to express how glad I am that I did. As if just participating in the Infinity Writers’ Conference in Valley Forge conference wasn’t enough, there I had the further opportunity to meet and get to know Dan, where we were on the same discussion panel—along with John Kremer, another self-publishing entrepreneur. Dan and I had a chance to talk more on the Saturday night during the conference, which was Halloween night, and where it seemed everyone but us was dressed in costume. On Sunday, I had dinner with Dan and could only sit, amazed, at how I was easily able to relate professionally to this person I’d been in awe of only weeks before, and further amazed at what a nice, ordinary person he was. We had coffee again on Monday, and after that conference, we remained friends, staying in touch via e-mail and meeting at several subsequent writers’ conferences as widespread as Puerto Vallarta, Mexico, and Toad River in northern BC. But my greatest editing moment up to that time was when Dan agreed to let me copy edit his Self-Publishing Manual—in print since 1979—followed by The Self-Publishing Manual II. Although Dan was a highly public person for decades, doing dozens of speaking engagements annually, the private Dan was actually quite shy. After I got to know him, he gave me tips on overcoming shyness and enjoying public speaking that I use to this day. After I got to know him, I also learned that Dan loved Canada and Canadians. Here in Canada, he regularly made the rounds of Canadian Association of Professional Speakers (CAPS) meetings, sharing his wisdom and knowledge. One of my memories in editing Dan’s Self-Publishing Manual is his Canadian spelling of cheque, and how he wanted that spelling retained in his otherwise American book. Dan was a certain type of perfectionist. He wanted and expected the best and the most from all his endeavours, yet he easily acknowledged other experts in their fields. He was happy to have me copy edit his books on self-publishing. He felt it was important to keep up with the changing landscape of self-publishing, a landscape of which he himself had been an instigator and purveyor. He loved technology too. I recall how he’d dictate all his e-mails using Dragon voice-to-text software, even back in the mid-2000s when this technology was fairly new. He always seemed ready to try the next new thing. When I think back, considering our chance beginnings, I marvel that Dan always considered me as a friend, as someone more than just an acquaintance from one of his many speaking engagements, as someone worthy of editing his flagship self-publishing book. I was struggling to establish my editorial career; he was an expert and an industry icon. Why had he even bothered with me, a novice but I suppose promising editor who was embracing the concept of self-publishing? I attribute it to his generosity of spirit, his humility, his ability to relate to almost everyone, his forward-thinking vision and promotion of a new breed of editors, and his unflagging devotion to his concept of the vast new world of self-publishing. My sadness at Dan’s passing goes far beyond a mere blog post, but this is the best way I know of to give him a proper tribute. And I know that many others in the publishing world and the other fields Dan was involved in will be deeply affected by his passing. Dan has left an incomparable legacy. He was fond of saying his mission was that no one should die with a book inside them. Well, Dan, thanks to you, many thousands of authors worldwide have been able to fulfill their dream of writing and publishing their book. Without you, it’s safe to say the self-publishing industry would not be as popular as it is today. Rest in peace, Dan Poynter. You will be missed, remembered, and revered. If Dan touched your life in some way, I would be delighted if you’d like to leave a comment. Sounds like a hellava man! My condolences to his family and friends, sounds like a true scion of publishing! Thanks, Rashad. Yes, he truly was. That’s lovely to hear, Marvin. I hope your books did well! Thanks Arlene. The books did OK – not well – but they were small books and I made enough mistakes in the process to make it a good learning experience. Book marketing is the hardest part of the process, even harder than writing. Sounds as though you have a positive attitude about your experience, and that’s a good thing. And those books will always be your legacy. You are so right about book marketing. Plus, I feel I did not utilize outside sources as much as I should have and the books lacked a certain professional image. Working on a larger one now, mostly memoir. thanks. Yes, I know what you mean. Try to use an editor as well as a book designer for interior page design. Those two things will add a much more professional image to your book. Some people’s purpose on Earth seems so clear and ultimately remains beneficial to unlimited numbers of others. A life can’t be more meaningful than opening new doors, or asking “why not?” The self-publishing world continues to break away from earlier stereotyping and to grow by overwhelmingly successful leaps and bounds. To have had Dan Poynter as a mentor and friend was a stroke of such good fortune, Arlene, and you’ve made it obvious throughout your career that you treasured every advantage his guidance offered. Thanks for that lovely comment, Irene. You really have a way with words. Indeed, I did treasure the advantage Dan’s guidance offered. I never took it for granted. What a lovely and moving tribute. Dan was a mentor on many levels. It’s clear from your friendship with Dan that you too are a mentor and inspiration to others who aspire to self-publish. That’s very kind of you to say, Graham. I do try to mentor my younger colleagues these days when I can. 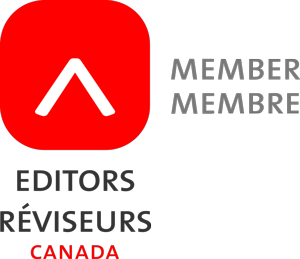 I’m even helping to organize the mentoring program at next year’s Editors Canada conference in Vancouver. OMG, I had no idea – we, too, emailed. About cats and skydiving. He was such a generous man, and always willing to lend a helping hand. Memory eternal.